Natasimha Balakrishna is paying floral tributes to his dad NTR on screen with a biopic is planning to unleash the film during Sankranti, ahead of the elections in Andhra Pradesh. 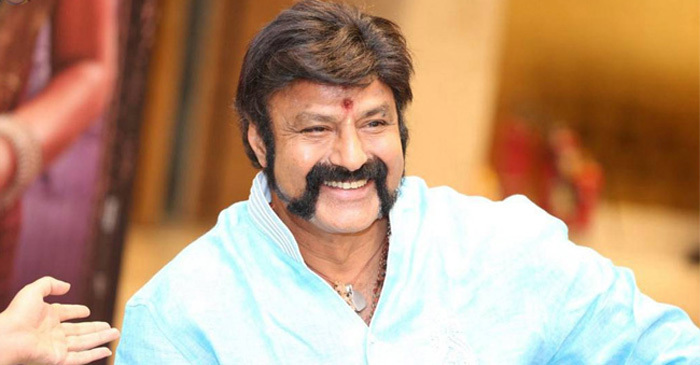 Meanwhile, reports are coming that, Balakrishna is all set have a ten days break from the biopic shooting. Buzz is AP CM ,TDP chief Chandra Babu Naidu is leaving no stone unturned to plot the downfall of Telangana CM KCR and the ruling TRS in the state and already entered into an alliance with his bitter rival Congress. Now Chandra Babu is planning to rope in Balakrishna to campaign for the party in Telangana as the election dates are fast approaching in December. It is known that TDP is contesting only in 14 constituencies in Telangana, 2 less than what it actually won in 2014. Balakrsihna will go on a whirlwind tour across the 14 constituencies and campaign for the party. Now many are wondering whether Balakrishna will also campaign for the alliance partner Congress and what impact he can show in the elections in Telangana with his ten days campaigning.